The voices, make them stop — not! This past month, I’ve been focusing more on my writing than in previous months. Part of it is because I have deadlines looming large. Part of it is because the job is still as demanding as ever but I’m more confident in what I’m doing. Of course, I still need to clone myself — as well as everyone else at Naked Reader Press — to keep up with everything that’s going on, but I’d rather be busy than twiddling my thumbs. As I’ve mentioned here and at Mad Genius Club, part of the problem with my writing has been the number of stops and starts I’ve had to make because stories wouldn’t cooperate or I’d suddenly realize the book I was writing wasn’t the one I was supposed to be writing, etc. Anyway, I thought I’d give you a taste of some of the different voices/plots/characters demanding my time today. Then, if you feel you need to call the men in the white jackets, go ahead. I need a nice vacation for a week or so. Death is inevitable. Try as you might, you can’t prevent it. Medical science and a healthy dose of luck might postpone it, but that’s all. Sooner or later we all die. It’s what happens next that’s up for grabs. Just because there’s no way around it doesn’t mean I want to die one moment sooner than absolutely necessary. For one thing, the way my luck runs, the next phase very likely would not find me traipsing happily through the Elysian Fields or whatever you call the afterlife. No, it would be my luck to turn into one of the creatures I’ve spent most of my unnatural life hunting and killing, all in an effort to keep humanity safe. Unfortunately, it looked like my life had finally run out. It was bound to sooner or later but, given a choice, it would be later – much, much later. I admit it. I was in a lousy mood. Dealing with cops has never been my idea of fun. Dealing with them in a dark alley before dawn and in the middle of a “job” ranks right down there with my least favorite things to do. That’s especially true when the cop in question looks all of thirteen and is convinced he’s just seen me commit cold-blooded murder. Damnation, I hate days like this. All my life, my mama’s tried to raise me to be a proper lady. No, that’s not quite right. She’s tried to raise me to be a proper SOUTHERN lady, full of refinement and grace, dressed in lace and delicate pastels. To hear her talk, it’s been a futile effort that’s caused her more than her fair share of gray hair. And, where the lace and pastels are concerned, she’s right. Still, she’s managed to get me to say, “yes, ma’am,” and “no, sir”. For the most part, I’m respectful of my elders, even when they don’t deserve it. I even wear clean underwear whenever I leave the house – usually without any extraneous holes in it – because Mama is convinced some rampaging bus will find me and strike me down, necessitating a trip to the emergency room. I swear, I think it’s her life’s dream that it will actually happen. You see, in her world, a trip to the ER has only one ending. The handsome, rich and oh-so-conveniently single doctor who saves my life will fall madly in love with me. What she seems to forget is that in a bus vs. me battle, the bus will always win. So, unless the doctor is also a re-animator, he’d be falling for a corpse and, well, ewwwwww! Besides, having somehow managed to survive a close encounter of the nearly fatal kind, the last thing I’d be interested in is finding a man to settle down and raise a passel of kids with. Not that it would deter Mama one little bit. Hell, she’d probably arrive at the ER with her minister firmly in tow, a marriage license burning a hole in her hand bag, all ready to fill in the blanks and make me a married woman. In case you haven’t figured it out yet, my mama rarely lets reality interfere with her plans. Don’t get me wrong. I can usually deal with Mama’s plans and manipulations. I’ve spent a lifetime figuring out how. All I have to do is make sure I look both ways before crossing the street. Of course, the odds of a bus hitting me here in Misty Creek are about as good as the odds of Hell freezing over. So I figure I’m safe – at least for the time being. He leaned back and nodded slightly, satisfaction filling him. Who would have guessed he’d have found so many kindred souls in America. Kindred souls with money and the patriotic fervor only those driven from their homelands seemed to possess. Kindred souls who would do almost anything he asked, if for no other reason than to strike a blow against the English who continued to refuse to admit Ireland was for the Irish. Perhaps Ireland would finally be freed from its English oppressors. It was strange, and certainly now what he’d expected, but he felt at home here. Chicago was live with commerce and trade. Everywhere he turned, someone had an opportunity to offer. Sure and he knew some were merely opportunities to part him from his cash. But now, after several days in the city, he was beginning to understand why so many called this the Land of Opportunity. Where else could an Irish Catholic who fled his homeland with nothing but the clothes on his back be able to make his fortune? But it was more than that. Parts of Chicago were more Irish than Ireland. Even here. The poorly lit pub was filled with voices, many of which sounded as if they’d arrived from Ireland not much before he had. Mixed in with the lyrical accents he knew so well were the broader, flatter accents of those who’d never stepped foot on Irish soil but who were just as Irish as was he, in heart and mind if not in location. Irish Gaelic mixed with English, lulling him into a sense of security, almost as if he was home. Add to that the smells of too many people in too small of a space, stale ale, whiskey and smoke and, well, he could be sitting in his favorite pub in Dublin. Familiar it might be, but it wouldn’t do to be careless. Even here in Chicago, home of one of the largest Irish populations in America, the Brits had their spies, something his companions didn’t seem to understand. Little did they know that the Home Office, as well as the Metropolitan Police, had agents everywhere, doing all they could to derail the movement for Irish independence. The Brits might decry those patriots fighting for Irish independence as murderers and traitors, but they weren’t above murder or the use of double agents who thought nothing of leading brave Fenian men and women to their deaths. Of course, he couldn’t explain how he knew this, not without risking his own life. So he’d choose his words carefully and keep his eyes and ears open. That tact had kept him alive all these years. Hopefully, it would for many more years as well. The fact his four companions seemed unconcerned about meeting in a crowded pub to discuss their “business” didn’t sit well. The Shamrock and Shillelagh might be considered safe by those who frequented it, but its connections to Clan na Gael were well known, not only to those who believed in Irish independence but to those who opposed it as well. A stranger might not be made to feel welcome unless vouched for by one of the regulars, but who was to say one of the regulars wasn’t a spy — or worse, a traitor. Even if the stranger posed not threat, there were too many people around, too many ears to hear what he and his companions had to say. All it took was a slip of the tongue, innocent or not, by someone who happened to overhear the wrong thing to foil their plans. No, he’d feel much better if they were meeting somewhere isolated and easily secured. Unfortunately, he’d left the place of their meeting to his companions and it was too late to change it now. Francis Millen paused, shaking his head, as, with a puff of smoke and squeak of metal wheels against wooden floor, a small servercart rolled up to the table. America truly was a strange land. He’d seen some mechanicals in London and Dublin before, but not like here. It seemed as if the mechanicals were almost everywhere, in every shape and size. Steam powered airships floated through the skies. Mechanicals that looked like oddly built spiders scurried up the sides of buildings, sealing cracks in windows and conducting other minor repairs. In this country, technicians and engineers were encouraged, even respected, and they took advantage of it. Even in the pubs their strange machines seemed almost commonplace. A quick glance at the bar showed the pub owner, a large controller in his hands, guiding the servercart amongst the tables, stopping from time to time so the patrons could grab their drinks. Each time the ‘cart started, it gave a puff of steam from its smokestack, much like a train engine’s, adding to the smoke already hanging in the air from cigarettes, cigars and the occasional pipe. 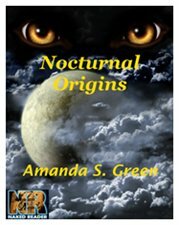 Add to all of these Russian Nights , my historical fantasy/alternate history, Nocturnal Serenade, the sequel to Nocturnal Origins, a space opera that is really starting to bother me because it’s been neglected for so long, a mystery and the project I hinted at yesterday but can’t say too much about just yet. So, is it any wonder I sometimes want the voices to shut up just so I can hear myself think? I knew it was bound to happen. At least I hoped it was. No one wants to have their work pirated. After all, it’s hard work to write a book and get it published. So, once it is finally available, any writer wants folks to actually buy it. We have bills to pay, after all. But then there’s that niggling of self-doubt at the back of your mind. What if no one thinks your book is good enough to pirate? Okay, maybe I’m weird there. But I had wondered. Now, though, seeing a site that has Origins available for a free download — and it’s not a site NRP has an agreement with — I don’t know whether to be pleased or insulted. Pirating really doesn’t bother me that much. Not on an intellectual level. Maybe I’ve spent too much time hanging around Baen that I’ve been infected by their point of view. I really do feel that pirating is nothing more than a form of promotion. It gets our books into hands that might not otherwise have gotten it. 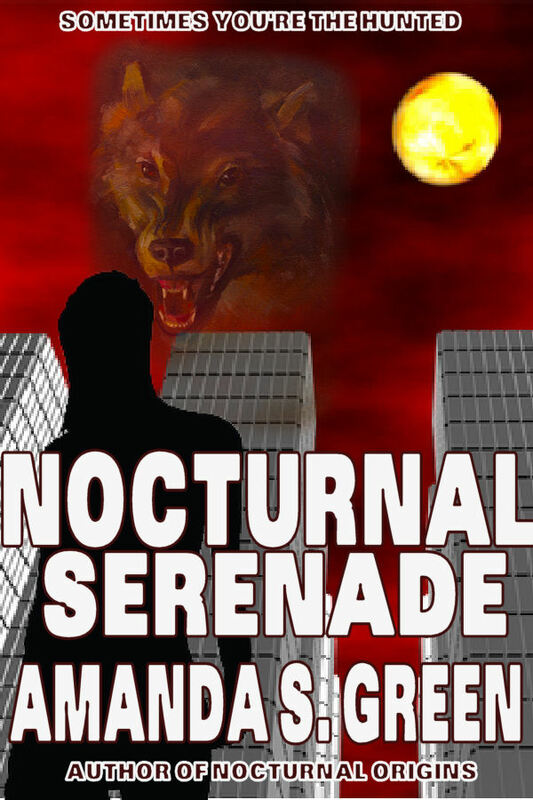 Some of those folks will then go out and buy the book and others by me or other NRP authors. But this site is one that bothers me. Most pirate sites have contact addresses you can send a take down notice to. This one doesn’t. No, only after a searching and finally clicking on the “sign up for a new account” did I find a “contact us” link. And that opened up an email form to fill out. Further investigation shows that this particular site has only been around for three months. But…and this is the big but…if you keep looking around, it is clear the site has been around much longer. It is simply one of those that changes its address and name from time to time. Now, like I said, I’m not all that worried about someone pirating my book. In fact, I am sort of pleased — again, in a perverse sort of way — that only one site has, so far, posted it for free download. (And no, I didn’t sign up for an account nor did I try to download it. I like my computer too much to risk the sorts of bugs these sites tend to carry). One of the reasons I like NRP, both as my publisher and as my employer, is the fact that it doesn’t attach DRM to its titles. The fact that NRP titles aren’t showing up en masse on pirate sites tends to prove my theory that it is the challenge of DRM that brings out a lot of these guys, not just their need/desire to give away something that should be paid for. Add in the fact that NRP doesn’t charge more than $4.99 so far and, well, there really is no reason to pirate their titles. Still, part of me is outraged to find my first book on a pirate site even as it is thrilled to be there. Mind you, I’ll be keeping my eye out for other sites as well as keeping an eye on this particular one. In the meantime, I’ll keep writing. After all, we do have to keep these pirates in business….right?